Dubai, Oct 1 : Emirates Airline has launched a new flights to Clark in the Philippines, inaugurated a route between Milan and New York and started a brand new A380 service to Brisbane - all on the same day in four different continents. First to take off from Dubai International at 4.40 a. m. Monday was a Boeing 777-200LR bound for Clark International in the Philippines. This was followed by the Italy flight at 9.05 a. m. for Milan where the Boeing 777-300ER stops before embarking on a brand new trans-Atlantic connection to New York. Finally, the flight for Brisbane, the airline's latest A380 destination, Brisbane departed at 10.25 a. m.
"Today is an extremely significant day for our network - we are connecting two great cities across the Atlantic, opening an important new gateway into the Philippines, which helps links Filipino communities across the world, and our magnificent flagship aircraft will quietly descend into yet another destination," Tim Clark, president of Emirates Airline, said. Clark Philippines will be Emirates' second gateway into the country after Manila. The airport is located 80 km north of the capital, in Angeles City. 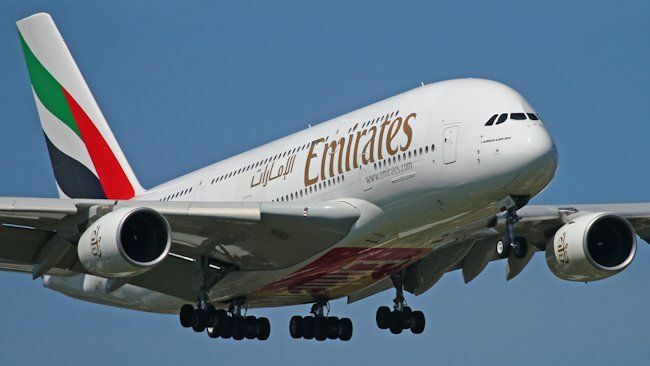 Emirates already serves New York and Milan, but the new service addresses an under-served trans-Atlantic link between the two commercially vibrant cities, both in terms of non-stop flights and premium product offering.